This is going to be the first of a 3 part series about getting involved. I think no matter what stage of life you are in, it is important to get involved and pursue your interests. I wanted to start with high school because I know some of you are going to be headed back to school soon and a new school year is the perfect time to find your place. 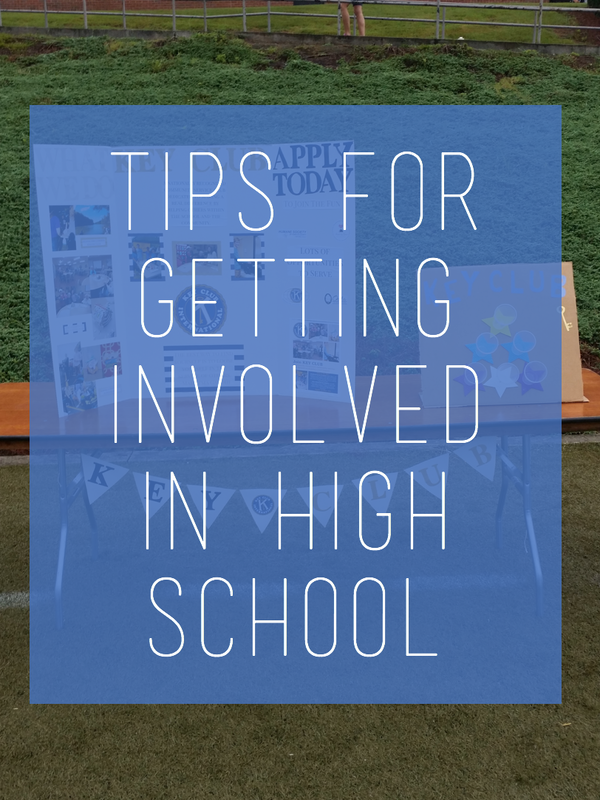 In high school, getting involved will allow you to meet new friends, have cool opportunities, and help you get into college. Every school will have a list of all the clubs that they have. This is a great resource as you can use it to see which ones may seem interesting to you. This list may be on the school website or available in the counseling office. It also can be a good idea to check out the school’s website or social media to see which clubs are active and doing things, these are always good to get involved with. You may want to join a club because a teacher you really love is the sponsor. That is a great way to meet people with different interests as well as get close with a teacher who could possibly write you a recommendation. So if you have a favorite teacher definitely check to see what they are involved with! Sometimes getting involved with a smaller club is great because it will allow you more leadership opportunities. This often makes the club seem much more meaningful, and you kind of get to make it into the club you imagine. Plus it is often much less intimidating because there are less people. If you have an idea of a future career interest or just a personal passion then I would recommend finding a related club! I know if you are interested in business or healthcare there are clubs like FBLA or HOSA. This could give you a good look at what it would be like to work in that profession. Once you find a club you like make sure you participate in as much as possible. Being a part of a club is so much more than just signing up. And being an active member will give you opportunities for future leadership roles. Plus, you’ll meet a lot of awesome people and have cool opportunities. 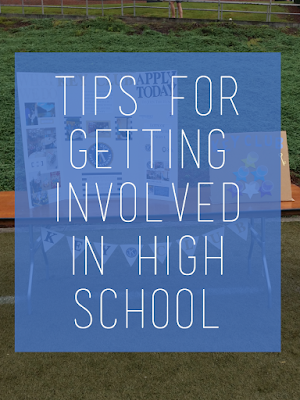 I know this post was mostly centered around clubs, but it could also mean getting involved with a sports team, tutoring, or mentoring program. Finding something you love at your school will make it feel a lot more like home. I hope this post was helpful for some of you, I know clubs were one of my favorite parts of high school. Next Monday, I’m going to be talking about getting involved outside of school, so stay tuned!